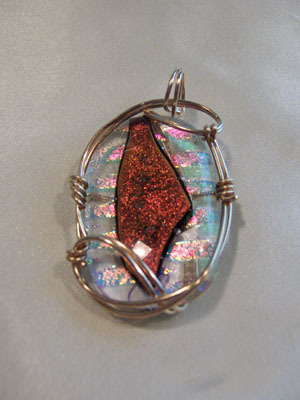 Dichroic glass pendant with bold pattern and contemporary styling. Sculpted in 14kt rolled gold. Measures 1.75"x1".